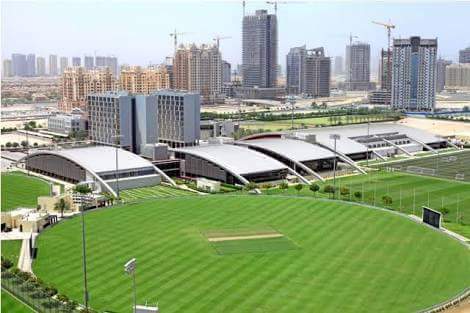 Bahria Sports City Karachi will offer unique features like facilities for all indoor and outdoor sports. As the masterplan shows, there are a large number of stadiums and play areas specifically designed for sports loving community. This project is a much needed venture to promote different sports and hilight the importance of sports in everyday life in order to prevent common health issues normally caused due to passive lifestyle. 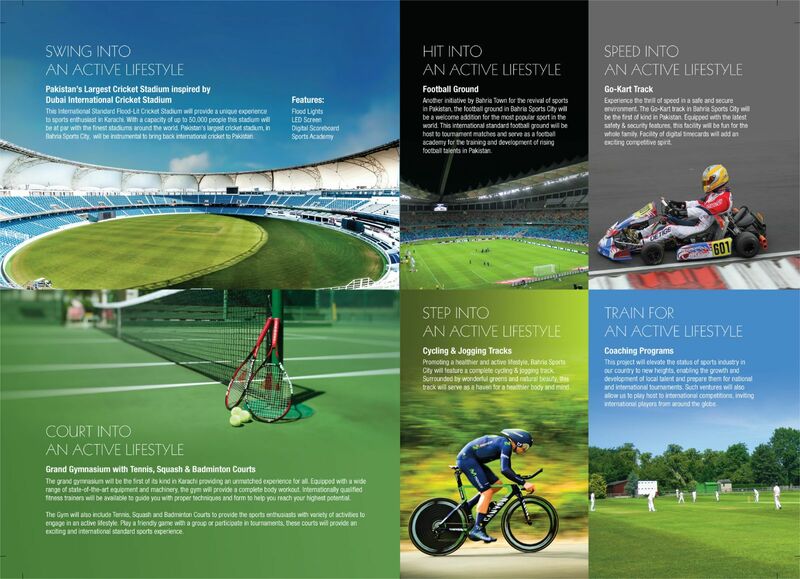 Salient features of the project include Pakistan's largest international cricket stadium, grand gymnasium with tennis, squash and bedminton courts, cycling and jogging tracks, football ground, Go-Kart Racing, and coaching programs to promote local sports talent in order to revive this industry. Since Bahria Sports City induces an active lifestyle, so it attracts a lot to the uppar middle class and upper class of Pakistan who are always conscious about their health and physical activities related to daily excercises and sports activities. Bahria Town will provide trainers for sports city residents, who will train them for an active lifestyle guiding them through different sports activities as well as other physical activities conducive to better health. Since this is a unique concept of Bahria Town with no precedence, we can expect that the developers will work hard to make it successful in order to set it as an example of their excellence in housing development. Considering the 4 year payment plan as shown on the available price list, this seems to be a long term investment just like bahria golf city karachi, however prices seem to be quite reasonable. 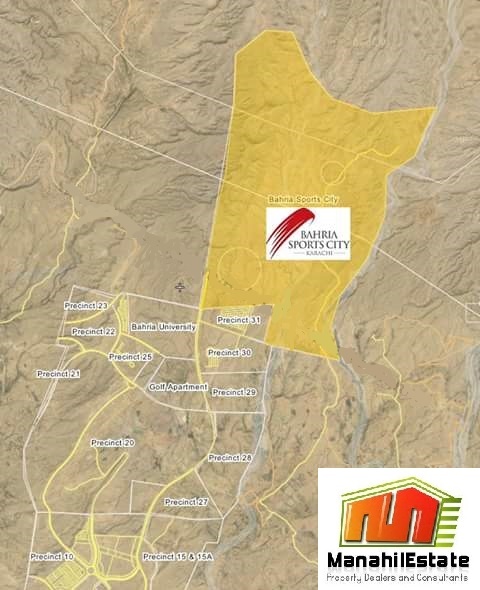 Location of Bahria Sports City has been disclosed and it lies right next to precinct 31 on 400ft wide jinnah avenue. There are many other precincts coming in which are part of bahria sports city. Rafi cricket stadium will be centrally located in the sports city that will accomodate 50,000 people. Construction work on Rafi Cricket Stadium is going to be started very soon as all working agreements with foreign companies have been signed already. 14 Marla luxury villas are uniquely designed with inspiration from Jumeirah Village Dubai. These 4 bed luxury villas will be an expression of modern design and luxury living. These villas are priced at 1.45 crore with 10% down payment and remaining amount is payable in 12 quarterly installments, i.e. 3 year installment plan. Booking of plots and villas has started from 5th February and last date to book is 16th February 2016. Booking forms are available in nominated UBL branches as well as in Bahria Town Offices. Plot numbers will be allotted after computerized balloting that will be conducted after the first installment. It is not easy to find booking forms from the banks or headoffice as there is a hell of crowd there, however you can simply opt for confirm booking options available with dealers in the market at less than booking prices. You do not need to pay anythning extra, and your booking form is processed conveniently by authorized dealers from their reserved quotas. Should you have any inquiries or you want to book plots in Sports City Karachi, contact us via email for assistance.